Endocrine Gland: Pineal gland-produces melatonin that help regulate sleep-wake cycles called circadian rhythm. Increased levels of melatonin makes one feel drowsy or in a dream-like state when the pineal gland is active. 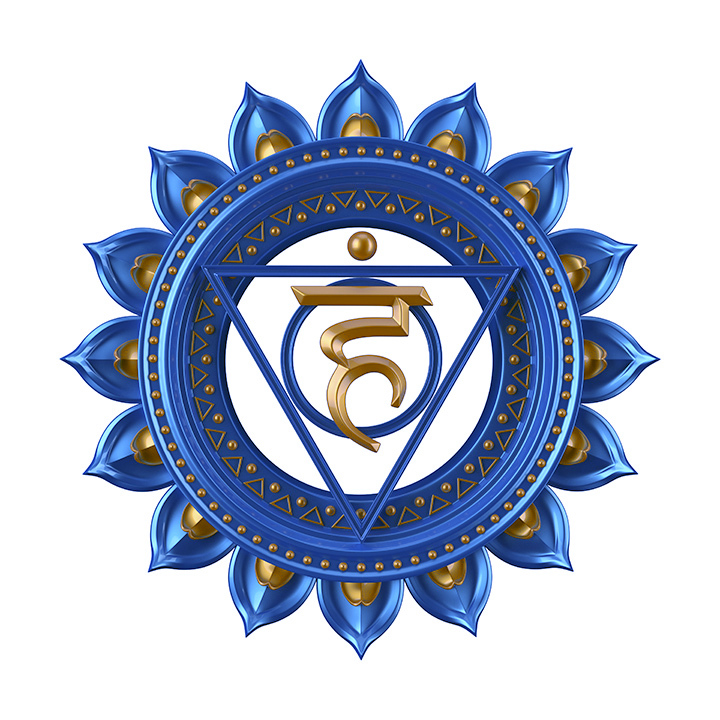 Balanced/ Open Chakra: When the third-eye chakra is balanced you have a strong sense of intuition and perception beyond ordinary sight. You are connected to a different way of seeing and perceiving things. You may experience visions of things, de-ja-vu, and/or have prophetic and intuitive dreams. You are sensitive to subtle energies and vibrations of people, things, the atmosphere, etc. Wisdom is easily accessible. You able to rise above your emotions and see the bigger picture, understanding that life and situations have a deeper meaning. With this understanding you are open to receiving messages from the Universe. You are motivated, inspiring and creative. You can have intuitive abilities such as clairvoyance (sight), clairaudience (hearing), clairsentience (feeling), claircognizance (knowing), clairgustance (tasting), and/or clairairalience (smelling). You are in-tuned with a higher source. Underactive: If the third-eye chakra is underactive or closed, it is difficult for you to understand spiritual connections. You aren't connected to see how things spiritually relate. You aren't aware of signs and how they relate to you. You may feel confused and disconnected. You rely too much on your own beliefs and not open to new energy or information. You may have no intuition or have a hard time "tapping in". You may feel stuck and not able to look beyond your problems. You reject anything spiritual or out of the ordinary. You may not see the greater picture and lack a vision of clarity. Overactive: If the third-eye chakra is overactive you tend to be over-intellectual in thinking. You tend to be judgmental, over-logical, and unsympathetic. You may create circumstances in your mind that aren't happening. You aren't open to or even misinterpret spiritual information for logic and 'what makes sense'. You may fantasize too much and often have stress with headaches. Physical Symptoms: Headaches, nightmares, bi-polar, glaucoma, neurological issues, brain cysts, tumors, strokes, blindness, deafness, seizures, insomnia, learning disabilities, panic, depression, addiction, migraines, sinus infections, earaches, hormonal imbalances. The Third-Eye Chakra is connected to our sense of intuition, higher learning, and wisdom. It is the seat of conscience. 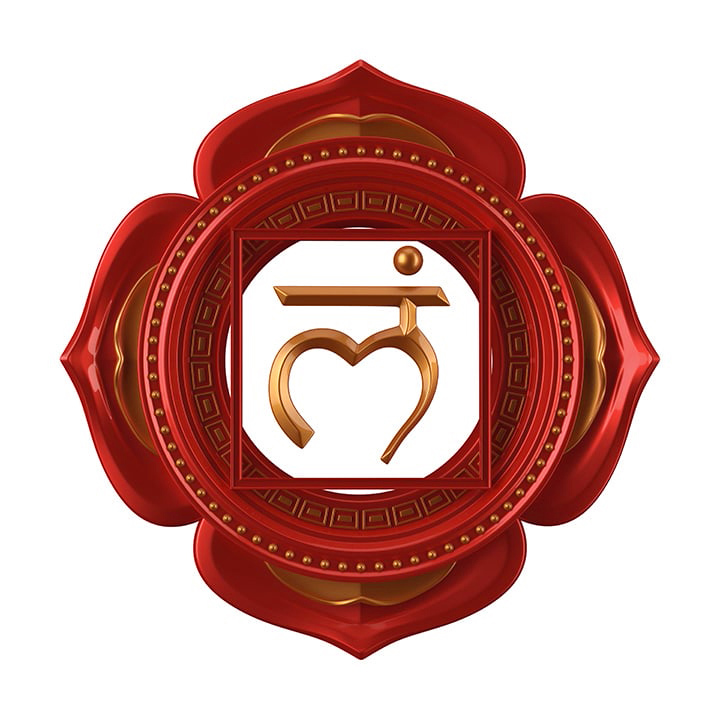 You have the ability to see both inner and outer worlds when this chakra is healthy and open. It allows us a deeper perception of inner-reflection and helps us get a clear vision of ourselves as well as situations. If you can calm your mind in the midst of heightened emotions, you can receive messages that give you insight to a higher meaning. A lot of people have been taught that things they see aren't real or misinterpret or judge information they receive based on logic and judging their spiritually. Children are sensitive to energies until they are taught to "materialize" what they feel. However when you understand that everything consists of energy and carries a vibration, you can start tuning in to feel those subtle frequencies. Black/white, good/bad, negative/positive are only extremes of the same energy. You must gain the ability to see things beyond what they are. It is understanding that everything happens for a reason and searching for the spiritual answers in everything. What are situations in your life meant to teach you? It takes detaching from situations, circumstances, material things, emotions, thought patterns, anything that leave you stuck in a box form of thinking. If you cannot DETACH then you stop the flow of intuition. Some people are more intuitive than others but with practice, tuning in, and learning life lessons, one's sense of intuition can be greatly increased. 1. Visualize the third-eye chakra symbol (at top) and/or a bright indigo colored ball of light in the center of the brow where the third-eye chakra is located. 3. Light indigo, dark blue (or purple) candles during meditation, or when trying to tune in or receive an intuitive answer about a situation. 4. Sitting in sunlight and detoxifying the body are great ways to boost the pineal gland and balance the third-eye chakra. 5. Use aromatherapy with essential oils that correspond to the third-eye chakra. WISDOM Third-Eye Chakra crystal infused oil is formulated to facilitate balance. 6. Listen to third-eye chakra sound frequencies. This can also be used to cleanse and balance third-eye chakra crystals. Place your crystal nearby as you play it. Note D 288 Hz pure tone frequency. 7. Chant the seed OM in the note of D with a 432 Hz frequency calibration. 8. Eat foods that are rich in omega-3 fatty acids such as fish and nuts. Eat vegetables and fruits rich in antioxidants such as blueberries. Dark chocolate is good as well. 9. Practice third-eye chakra yoga positions. 10. Repeat third-eye chakra affirmations.